Today marks 3.5 years traveling and nesting abroad. I have not visited the United States since I departed for my travels in 2007. 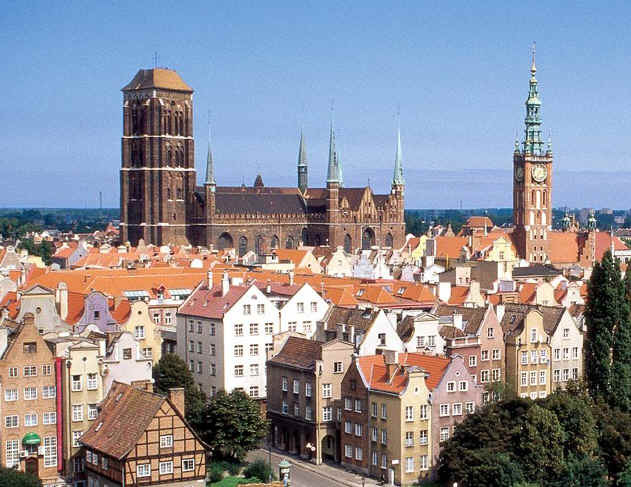 I decided to take a detour from Berlin to Gdansk in northern Poland and happy I did. Currently I am the only person as the hostel which is located out side of the main town in a quite neighborhood. I do like the energy of the east even though there is a negative mind set. The east is much more easy going than Western Europe. I completed the most important locations and historical sites within my interest last October of 2010. The places I wanted to view were the Pyramids and Egypt, I traveled Egypt for five months. Jerusalem, which I rented a room for three weeks and spent a lot of time in the Old city, the City of David, and the Mount of Olives. The Temple of Apollo in Greece was 3rd on the list—I was slightly sick, but did stay three days from what I remember. And, the last place I would not miss was Krakow and visiting Auschwitz. India is a place that I am very happy to have visited even though the country is difficult to travel. If you are a person who only visits Goa, you have not traveled India. I will be heading back to the USA for a least a month in September and have been bouncing alternative ideas around in my head. The lifestyle I am attracted to is buying a VW camper van and living on the coast of California. Yet the possibilities also would allow driving down to Guatemala and living down there in the van/room. I really have not made any final decisions. Except that I am dedicated to Yoga breath everyday, boycott the ingestion of sugar, and eat 80% Raw food. Next post: The End is Near, but a New Beginning Awaits!